1. They don’t understand it’s importance. Let’s face it, some people don’t fully appreciate how important financial planning is in securing your future. For some, retirement might still be 40 or so years away. For others, they might think that the Age Pension will be enough to live off. In a perfect world, yes it would be. But for many, $400 or so a week won’t cut it. By thinking about your retirement in your 20s or 30s, and putting money away in a super fund, the compounding interest will make a huge difference. And, it could even mean that you can retire debt free and go travel the world, or buy that speed boat, or even that beach house you’ve always wanted! Financial planning is important in gaining control of your finances, and for attaining financial freedom. 2. They find it time-consuming. Seeing a financial planner isn’t just one meeting. There is a lot that goes along with that. First, you’ll have to research planners in your area. Then when you settle on a planner, you’ll need to go through a Statement of Advice which can be over 50 pages, they will do some profiling, and on top of all that, you will have to make some hard decisions. While this might seem overwhelming, seeking the advice of a financial planner is beneficial to securing your future. They will be there with you every step of the way, assessing the risk levels your comfortable with, and helping you achieve your money goals and grow your wealth. They will understand your personal needs, and advise you on investment decisions that best suit your needs. 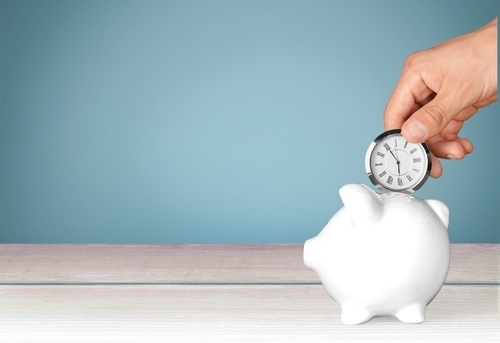 In the long run, a financial planner will actually save you time! 3. It can be difficult. All things considered, financial planning can be difficult. Budgeting isn’t a word many people like to hear. And the self-discipline that comes along with it is equally displeasing. One of the biggest reasons that people don’t enjoy saving for their superannuation is that it doesn’t feel like their money. But it is. It’s the money that you spend in your retirement. For many couples, they will need about $100,000 per year to maintain their lifestyle in retirement – assuming they have already paid off their home. Any extra money that you can put away now will really make a difference in the coming years. Again, it could mean that you can travel the world with your partner, or fulfil any of your lifestyle goals… within reason of course. The ATB Chartered Accountants difference. ATB Chartered Accountants are proactive, forward-looking business accountants. But the ATB difference is that we are fully qualified financial planners, in addition to holding accounting degrees and professional qualifications. Traditional financial planners lack experience in taxation matters. Tax planning is essential in financial planning, and we are able to identify opportunities that sit behind our tax advice because we understand the implications. Using your accountant as your financial planner ensures that all aspects of your wealth management are monitored and maximised. It makes sense to use a trusted financial adviser who already has a deep understanding of your tax and business finances, and a proven track record of wealth management. A holistic view can make the most of every opportunity. We can advise on self managed super funds (SMSFs), mortgages, life insurance, income protection and trauma insurances, and we work with expert partners in all areas to offer strategic advice at the highest level. If you’re ready to save on time, save on fees, and think more strategically about your future, talk to us about financial planning, we’re happy to help.